In high school when I was balancing my call to preach and my love for football, I used to say “I want to preach like Tommy Barnett and play football like Junior Seau.” I never did either. 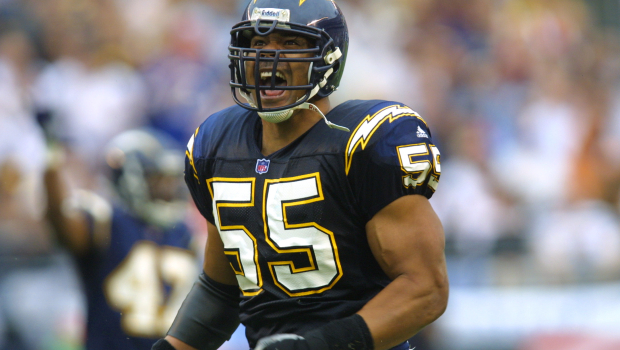 Seau seemed a lot older than me then, so I was surprised to discover he was only 43 at the time of his apparent suicide on Wednesday, just seven years my senior. Seau appeared to live a charmed life. A high school star in San Diego, he led his team to a state championship, then received a scholarship at nearby USC. He then played the bulk of his 20 year NFL career in his native San Diego. He played the game with passion and excitement that was beautiful to watch. He was a living legend in his hometown. However, his story ended horribly. Whether it was from multiple concussions or personal demons, its hard to imagine that someone with his advantages would take his own life. Or, did he have advantages? Does the way we idolize athletes make any sense? Do we allow athletes to be human? Do we truly understand the ramifications of the modern day head trauma from American football? I was reflecting on this tragic death at my boys’ elementary “field day.” My boys both did well, but they certainly weren’t the fastest or strongest. As dads, many of us wrongly believe the ultimate dream would be for our sons to play major college football and have a 20 year NFL career like Seau. But, 43 years is way to short to live. There is so much more to life than athletic success. Friendship, love and time together are the most treasured reasons to live in this world. I think he had just gotten divorced, right? A lot of people are not in their right minds after that. His son goes to school with Joe’s cousins at a Catholic school in Poway.